It is officially the last month of 2017! My oh my. I was pretty much in a blur throughout November as I was trying to get my life together before the new year begins. 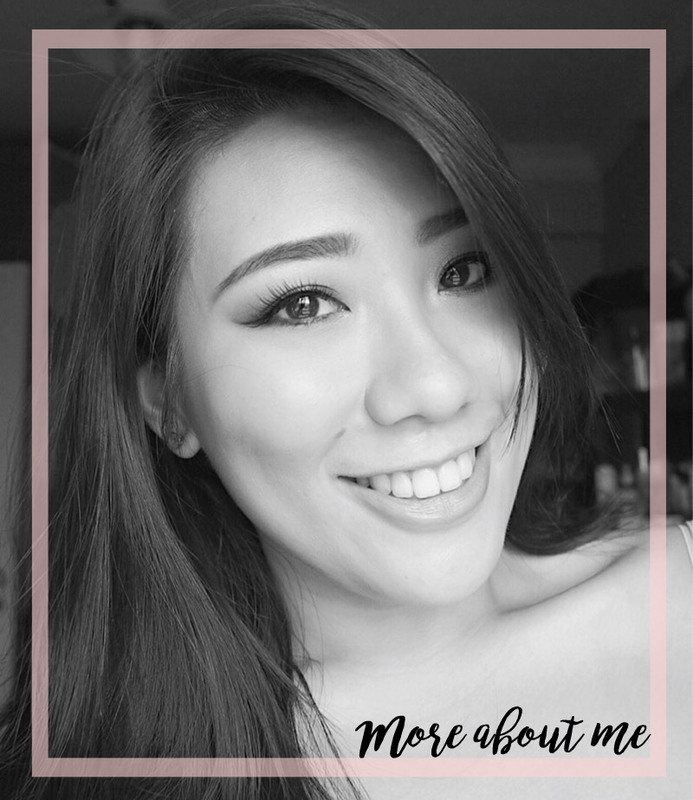 Thus, my makeup routines were nothing exciting and I kept things pretty quick and simple. So much so that I find myself going without foundation for most of the days! 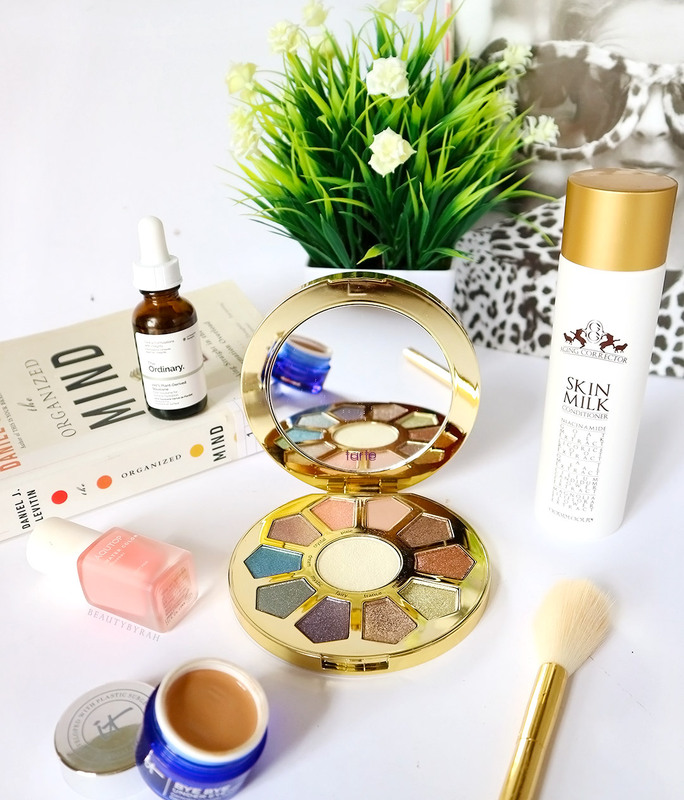 These makeup items here perform so nicely in making me look awake, alive and put together and I do highly recommend these if you're a fan of fuss-free and easy makeup. 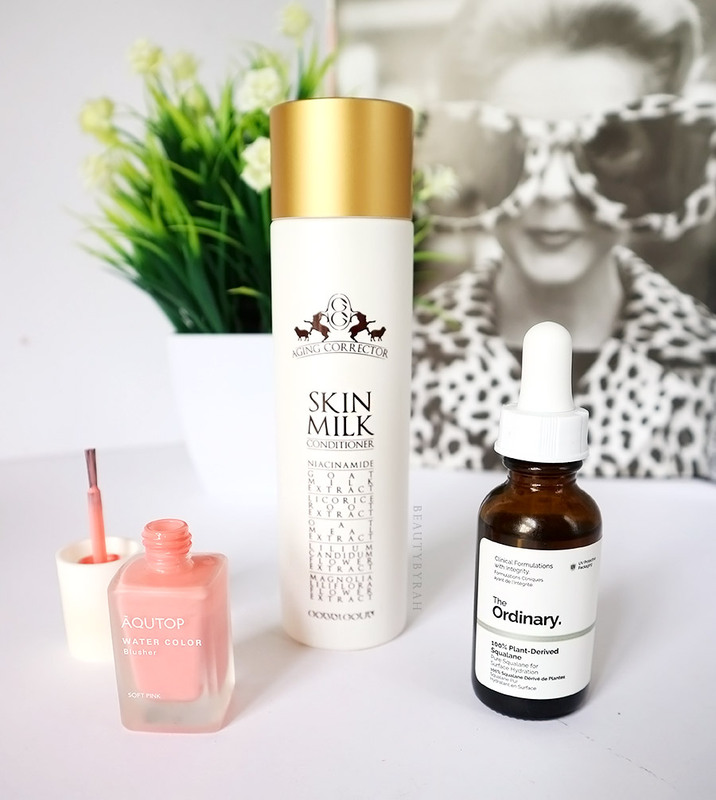 I also included two skincare items which I found to greatly help hydrate my skin as I had an allergic reaction recently and my skin became drier than it ever was before. 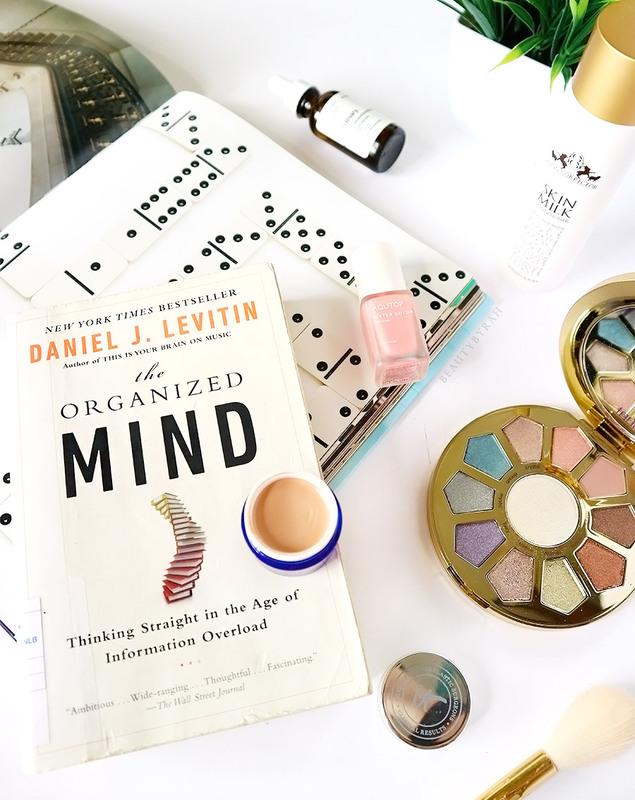 Without further ado, let's dive into my favourite products for November! I've mentioned over and over again that my undereye circles are just a pain in the a** and it takes quite a bit of effort to make myself look part of the living. I used to just layer upon layer full coverage concealers in hopes of masking the darkness, but it will usually just peek through, no matter. Now, I've learnt to colour correct and it does aid in neutralising the brownish undertones and this enables me to apply less concealer and thus, have less caking and creasing under the eyes. Some peachy correctors are not the right shade (thus, having negligible effect) or the right consistency (this will affect how the concealer applied after blends), so I am quite wary of undereye correctors. This Bye Bye Undereye Corrector from IT cosmetics does the job really nicely. I got mine in the shade Medium, which is a warm toned peach. This does come in the jar but it does not really bother me. I simply dip in a concealer brush (or my fingers, if I am feeling lazy) and dab a little under the eyes, focusing on the darker areas. This neuturalises the brownish tones so well and I find myself only needing a thin layer of concealer atop it to look awake and fresh. I do recommend this if you're on the market for something to correct dark circles! I've been really enjoying simpler eye makeup with just one or two shades in the crease and shimmers all over the lid. This Taste palette provides me with a great variety of stunning shimmer shades! This is definitely not a stand alone palette in my books (there is one matte shade here which works nicely as a cease shade but it does not provide me with enough depth to the crease) but rather one for beautiful shimmery lid toppers. Aside from the cheek highlight right in the middle, I am very pleased with the formulations of these eyeshadows - creamy and pigmented. When I dip my finger into it, it feels somewhat like a pressed cream shadow and it applies so nicely on the lid, giving a foiled look almost. The shimmers are poppin' and there aren't many chunky glitters to it (unlike the Colourpop Golden State of Mind palette). 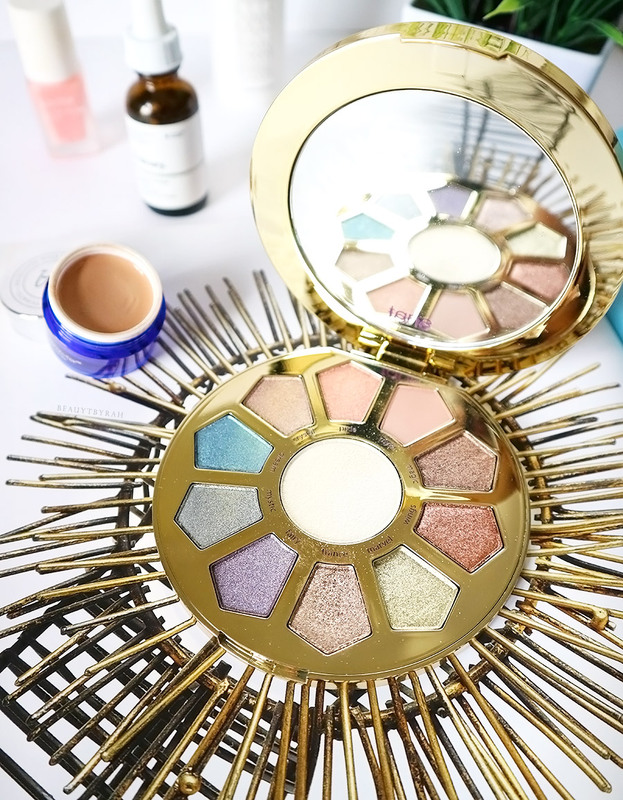 I do recommend this if you're on the hunt for some gorgeous shimmery lid shades. I've been on the cream/ liquid blush train lately as I no longer wear foundation and powder everyday. On days where I just can't deal with blending out my base and setting it, I simply conceal my undereye area, around the nose and on some dark acne spots on my skin before I go in with a liquid/cream blush and highlight. This Aqutop Watercolour Blush in Soft Pink (which I got in my Althea Korea Wanderlust Beauty Box) does the trick for me. This is a really pretty coral pink that provides a nice flush to the cheeks when blended. Many cream products do not last on me (especially if I do not set it) but this hangs on pretty much throughout the day with minimal fading. It fades very gradually too without turning splotchy. I really do like it on its own or layering it with a powder blush to extend the wear as blush is one thing that fades the fastest on me. If you're into korean makeup, I'd highly recommend you picking this Aqutop Watercolour Blush to try. Currently, these retail for SGD 18.40 on Althea Korea. In short, this is a lightweight dry face oil that helps hydrate the skin as it prevents moisture loss. Squalane is an excellent moisturiser and it does help to leave the skin feeling hydrated, soft and supple. It is also antibacterial and great in protecting the skin from free radicals. This Plant Derived Squalane from The Ordinary is non-greasy, extremely lightweight on the skin and it gets absorbed almost immediately after application, which is a huge plus point for me. Of course, a little goes a long way and I usually only add two to three drops to my palms, rub them together and press them onto the face. The Ordinary recommends using this after all water-based treatments and I do find that it does a lovely job at locking in the moisture. I can't remember where I purchased mine from, but I do believe it was from Beautybay. I introduced this brand Gobdigoun here on my blog before (read more about the products here) and I truly have been loving their Skin Milk Conditioner to add some hydration to my skin. I've been trying out the Korean 7 Skin Method, which is the method of applying and layering your toner a few times (of course, some go up to 7 times) onto the skin. This is said to help maximise skin hydration and as someone who does have dehydrated skin, I decided to try it. This Skin Conditioner is perfect for this as it is extremely light and watery in texture so layering it will add moisture to the skin without making it feel greasy or heavy. I've been layering it about 3 times at night for the past month and I really do think that it helped tremendously in the hydration of my skin. I noticed that my cheek area looked plumper and my skin looked brighter and dewier when I wake up in the mornings. I do highly recommend you trying the 7 Skin Method out (layer less to suit your skin type accordingly. I just use 3-4 layers as I have oily and dehydrated skin) and the Gobdiguon Aging Corrector Skin Milk Conditioner is a nice one to try it with as I really do enjoy the ingredients in it as well. If you're a fan of reading about the brain and how it processes everything on a daily basis, this book is perfect. It does get pretty in depth (sometimes a tad too much for my simple brain to handle), but it really opened my eyes as to how the brain functions and how it deals with all the information that it receives on a daily basis. Did you know that there are 4 components in the human attentional system - namely the mind-wandering mode, the central executive mode, the attentional filter and the attentional switch? It's truly fascinating how our brain works on a daily basis and I do find that this book does explain it in a digestible manner such that ordinary people like me can understand. Happy December everyone! Let's make the last month of the year count. I am going to take this month to really settle any outstanding issues and to get ready for the next year in proper fashion. What were your favourites for the past month?